I take the Seattle Link light rail to work. 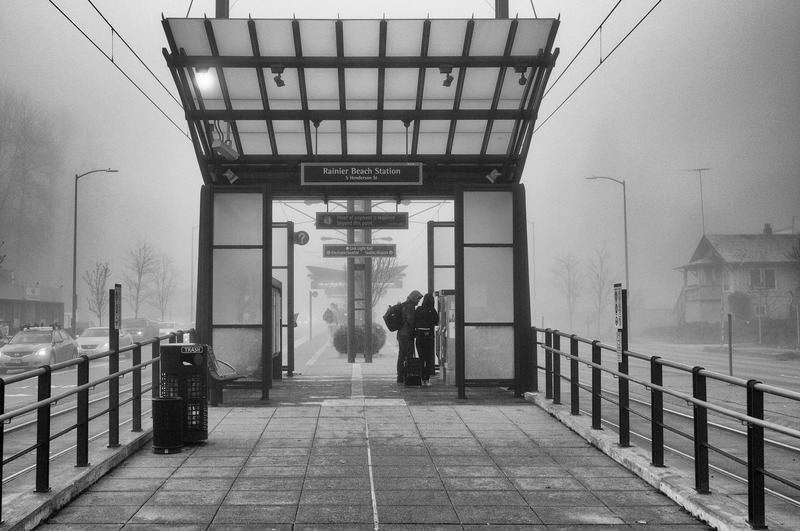 This is the Rainer Beach station on the same day with the Seattle winter fog in full effect. If you would like to see a full size version of this picture, click here.